Review: I read this book well over a month ago and I still remember every bit of it in great detail and I'm sure that has something to do with the exceptionally beautiful writing done by Rebecca Ross. 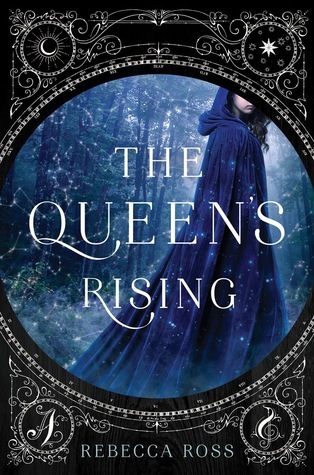 It's been a while since I've come across something original in the YA Fantasy genre and Ross managed to do just that, she has created a unique plot with some really interesting characters. Brienna was a fantastic MC, she was flawed, she faced hardships and she overcame through perseverance, hard not to love someone so relatable and the whole time I was rooting for her, she had heart and a bravery that was something to be admired of. I loved seeing her grow as a character and really come into her own. I really enjoyed the first half of the book which concentrated on Brienna at school with her passion sisters learning her passion but I truly didn't fall in love until the book takes a turn and Brienna has to separate from her passion sisters, that's when things get very interesting and the book turns into a full-blown page turner that I did not want to put down. There was danger, secrets, rebels and just one hell of a storyline. The way it ended I thought it would be a standalone but I see that on goodreads this is a series, so I'm really hoping the next books instead of focusing on Brienna since it seemed like her story wrapped up rather nicely that maybe each book will be about one of her passion sisters, I am rather curious about the rest of the girls and their story. Overall The Queen's Rising was an amazing debut novel and I can't wait to see what Ross has in store for us in future books.